The case, in 18kt rose gold, measures 42.5mm x 12mm. It has a double-domed AR-coated sapphire crystal, a sapphire display back, and it is water resistant to 30 meters. 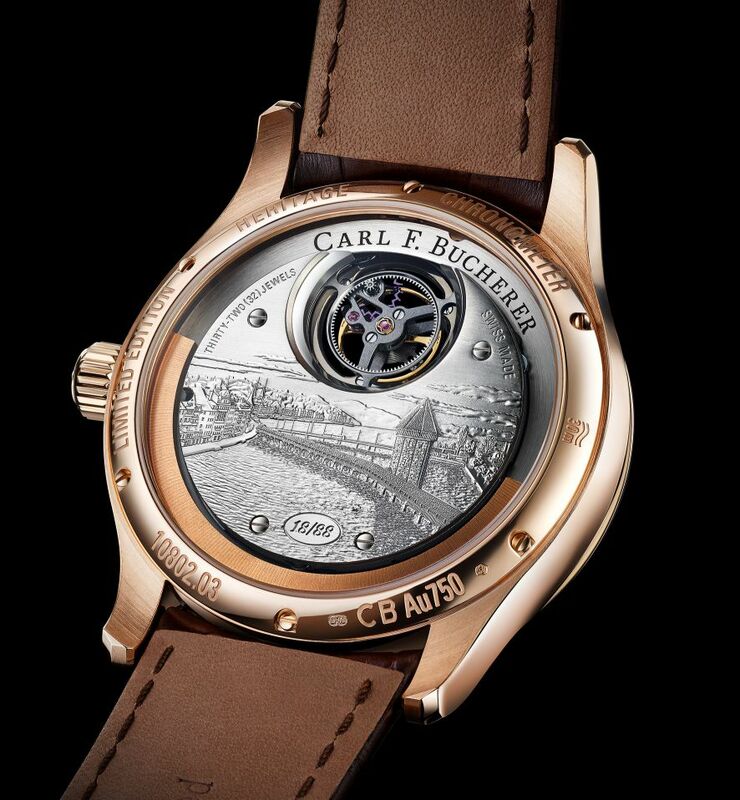 An engraving covers the entire back of the movement, with the exception of the tourbillon. At the center of this engraving the result of more than two weeks of work is the Lucerne Chapel Bridge, the landmark of the city. There is a special detail in this engraving: a swan. 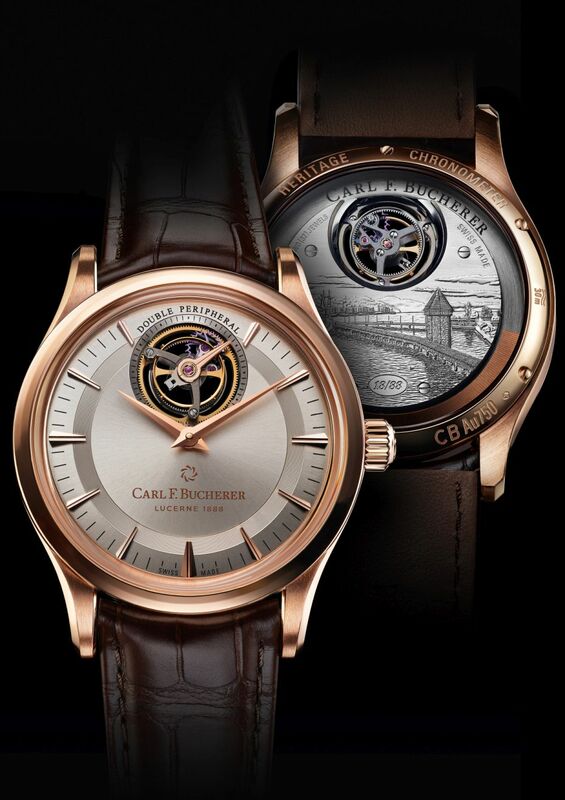 This reference to Lucerne's Schwanenplatz alludes to where Carl F. Bucherer opened its first specialty store in 1888, not far from where the boutique is located today. The position of the swan differs on each of the 88 models a custom feature that further underlines the unique character of each of these timepieces. Movement is the Swiss automatic Carl F. Bucherer in-house caliber CFB T3000 with 32 jewels, 21,600 vph and a power reserve of 65 hours. It is chronometer-grade. 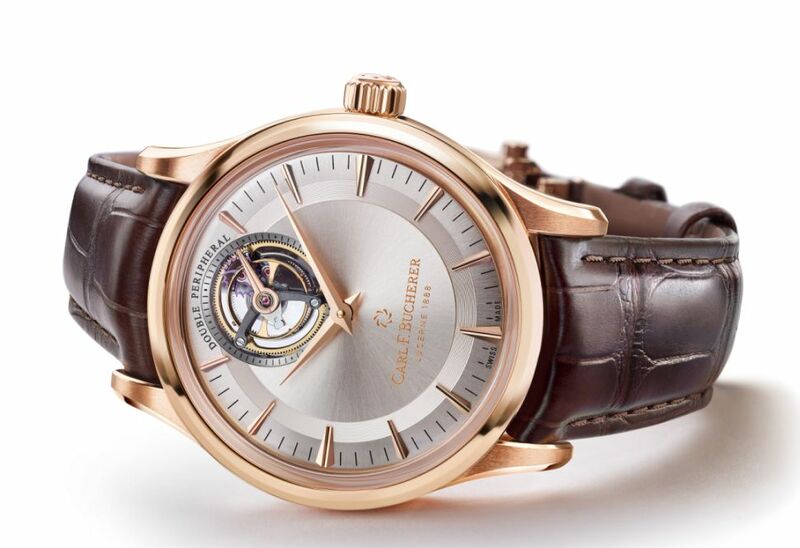 It features a hand-engraved 18kt white gold bridge (of the cityscape of Lucerne) with a 22kt rose gold rotor. Functions are: hours, minutes, small seconds, tourbillon. 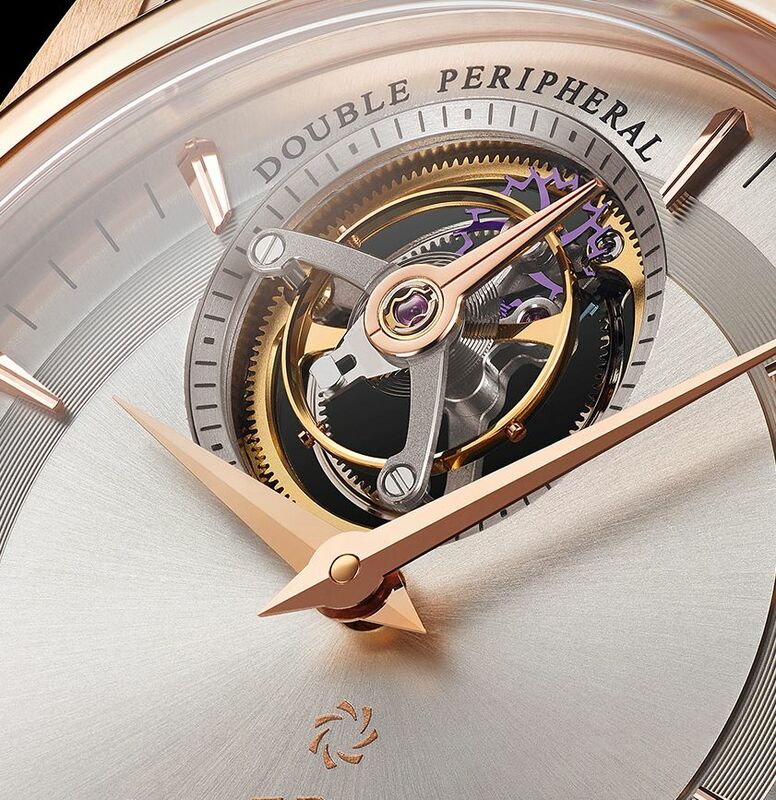 The tourbillon and the automatic winding system are both mounted peripherally. The cage of the minute tourbillon is supported peripherally and invisible to the wearer by three ceramic ball bearings. Silicon pallet and escape wheel. It has a silver dial with sunburst finish and milled rings decorating its periphery with applied diamond-shaped rose-gold-plated indices. It comes on a hand-stitched dark brown Louisiana alligator leather strap with an 18kt rose gold folding clasp.